Happy Hens and Satisfied Stags! | Hen & Stag Life Drawing Co.
At Hen & Stag Life Drawing Co. our aim is to bring you a drawing party of the very highest quality. We always ask you for feedback so that we can continually improve our events and let you know what our customers feel about our service. Please see our Facebook Page for up to date reviews from happy clients who regularly sing our praises, and our Instagram page for recent photos! We’ve also (very recently) started offering clients the chance to post reviews on Trustpilot. Below are just some of the hundreds of positive comments our clients have provided over the years. Thank you very much we had a really great time! The balance of fun ‘hen’ activities and helpful, informative drawing techniques delivered by you was just perfect for us. Great to flex our drawing muscles again. Marcus was great too, relaxed but professional (and of course very handsome!) Have sent the picture on to the ladies, am sure they’ll be pleased with those! Thanks again for a great time, will recommend you to any other hens I come across. Thank you, the day was a roaring success! Many many thanks for a fantastic session, and for the photos! We all had a really fantastic time (the Hen was particularly pleased) and now feel inspired to continue with life drawing – and pass on my thanks to Paul and Marcus for making it a really comfortable and fun session, and to you for helping with the organisation. I’ll definitely be recommending it to other Hen-do organisers. Thanks again! Thanks very much for sending through the photos – great to get a souvenir of the event. We very much enjoyed our session. I know everyone was very impressed with the professionalism and the varied activities and how fun and informal it was. A very lovely and good value activity, thanks! Thank you so much for the pictures and a huge thank you for such a wonderful session on Saturday it was brilliant and everyone had such a fantastic time. Just a note to thank you and Alex very much for the session, it was run perfectly and super fun. We all really enjoyed it. The weekend was a huge success! I need to say a massive thank you for everything you did to make my sister’s Hen Party a massive success. I’m really glad that we decided to book a life drawing class with you as it was so much fun. All the Hens thoroughly enjoyed the class. The structure and relaxed atmosphere you created put everyone at ease and we all agreed that you struck a fantastic balance between cheeky fun and learning a new skill. I really appreciate all the extra help you gave us, especially with the clean up of the room. 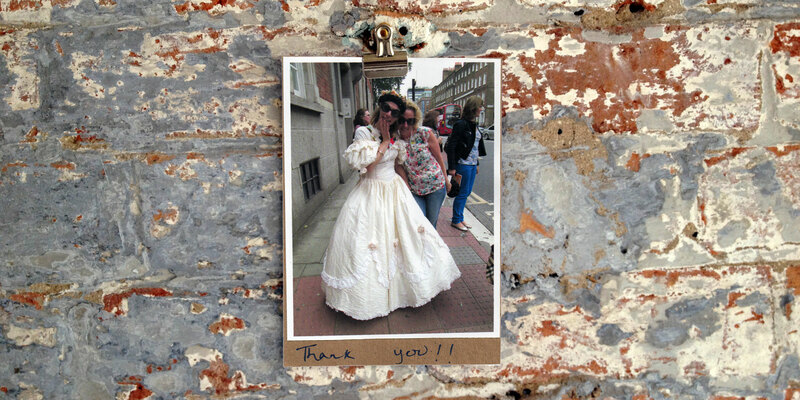 Thank you too for sending over your fabulous photos so quickly. It was great to be able to show them to everyone over breakfast the day after our class and they will be a great reminder of our day. Please also pass our thanks to Alex for his professionalism and bravery! Thank you so much for the pictures and a huge thank you for such a wonderful session on Saturday it was brilliant and everyone had such a fantastic time. It was run perfectly and super fun. We all really enjoyed it. The weekend was a huge success! Thanks very much for sending through the photos – a great to get a souvenir of the event. We very much enjoyed our session. I know everyone was very impressed with the professionalism of the team and the varied activities and how fun and informal it was. A very lovely and good value activity, many thanks. Thank you for the amazing photos! In terms of feedback I just wanted to say that the session was the perfect surprise for our hen Priya, she had no idea what we had planned and absolutely loved it! The session was brilliantly run. It was the perfect balance between interesting and informative -with the opportunity to pick up some drawing skills – and fun and cheeky with some excellent games involving our hen. Our model was charming and got involved in the fun! I would really recommend it as a hen party activity for people who want to have a classy hen party but are still looking for a bit of cheekiness. Thank you so much! Thanks for being a part of making Priya’s hen party so special!